We no longer have the words to describe children’s suffering and our outrage. Do those inflicting the suffering still have words to justify their barbaric acts? One of Allan Pred‘s favourite quotations from Walter Benjamin was this: ‘I have nothing to say. Only to show.’ And perhaps the broken, mangled shards of montage are the most appropriate way to convey the collision of medieval and later modern violence that is sowing Syria’s killing fields with so many injured, dying and dead bodies. These are suggestive claims, but two riders are necessary. First, images have such an extraordinary, if often insidious, subliminal power – even in our own, image-saturated culture – that they demand careful, critical interrogation and deployment. They don’t speak for themselves. And second, Benjamin described his method as ‘literary montage’: as Allan knew very well, words do not beat a silent retreat in the face of the image, and it’s in concert that the two produce some of their most exacting effects. In the course of my work on war in Syria and elsewhere I’ve encountered (and drawn upon) the work of many outstanding photographers; in some cases their images seem out-of-time, almost transcendent testimony to the enduring realities of war, while others disclose new horrors erupting in the midst of the all-too-bloody-familiar. I think, for example, of the work of Narciso Contreras (see above and below, and also here and his collection, Syria’s War: a journal of pain, War Photo, 2014) – and I do know about the controversy over editing/cropping – or Nish Nalbandian (see also here and here and his book, A whole world blind: war and life in northern Syria, Daylight Books, 2016). 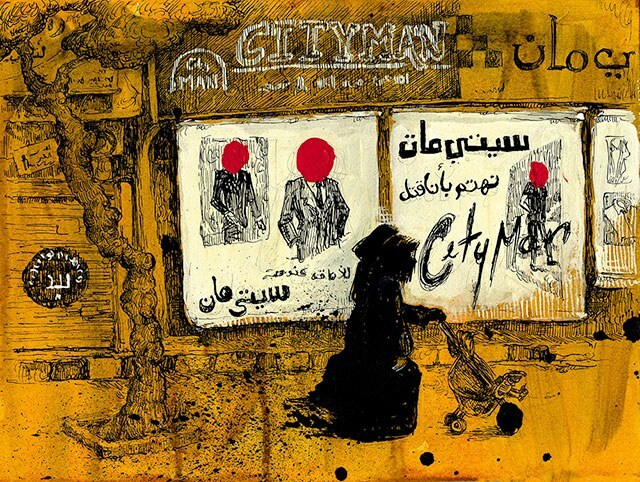 In my research on other conflicts I’ve also learned a lot from war artists, and in the case of Syria from graphic journalism: see, for example, the discussion by Nathalie Rosa Bucher here and the example of Molly Crabapple here. (Her work was based on cell-phone videos sent to her by a source inside IS-controlled Raqqa: another digital breach of siege warfare in Syria). The point of all of this is to emphasise my debt to multiple (in this case, visual) sources that enable me – sometimes force me – to see things differently: to turn those broken shards around, to have them catch the light and illuminate the situation anew. And to see things I’d often rather not see. It’s not a new experience. When I was completing The colonial present I was given access to a major image library, and in the course of three exhilarating days I learned more about Afghanistan, Palestine and Iraq than I had learned in three months of reading. The image bank included not only published but also unpublished images, which revealed aspects, dimensions, whole stories that had been left unremarked and unrecorded in the public record produced through editorial selection. The Syrian Archive is a Syrian-led and initiated collective of human rights activists dedicated to curating visual documentation relating to human rights violations and other crimes committed by all sides during the conflict in Syria with the goal of creating an evidence-based tool for reporting, advocacy and accountability purposes. Its emphasis on visual documentation and analysis needs to be seen alongside the investigations of Forensic Architecture and bellingcat. 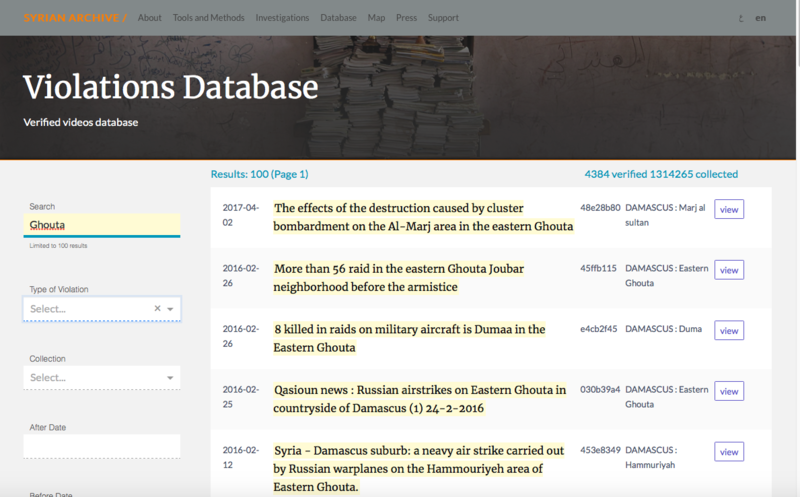 The Syrian Archive aims to support human rights investigators, advocates, media reporters, and journalists in their efforts to document human rights violations in Syria and worldwide through developing new open source tools as well as providing a transparent and replicable methodology for collecting, preserving, verifying and investigating visual documentation in conflict areas. We believe that visual documentation of human rights violations that is transparent, detailed, and reliable are critical towards providing accountability and can positively contribute to post-conflict reconstruction and stability. Such documentation can humanise victims, reduce the space for dispute over numbers killed, help societies understand the true human costs of war, and support truth and reconciliation efforts. Strengthening advocacy campaigns and legal accountability through building verified sets of materials documenting human rights violations in the Syrian conflict. User-generated content is valuable during times of conflict. Verified visual documentation can feed into humanitarian response planning by helping to identify areas of risk and need as well as contributing to the protection of civilians. Furthermore, visual documentation allows the Syrian Archive to tell untold stories through amplifying the voices of witnesses, victims and others who risked their lives to capture and document human rights violations in Syria. Not every incident in the Syrian conflict has been reported by journalists. The very challenging conditions have made it extremely difficult for local and especially international media to work in Syria, meaning the many incidents have been missed or under-reported. Visual documentation aims to strengthen political campaigns of human rights advocates by providing content that supports their campaign. This could include content on the violation of children’s rights; sexual and gender based violence; violations against specifically protected persons and objects, or the use of illegal weapons. Additionally, visual documentation aims to help human rights activists and Syrian citizens in setting up a memorialisation process and to create dialogues around issues related to peace and justice, to recognise and substantiate the suffering of citizens and provide multiple perspectives on the conflict that acts to prevent revisionist or simplified narratives while raising awareness of the situation in the country and highlighting the futility of violence to next generations. Video and images often compliments official narratives and press accounts of an event or situation, adding both detail and nuance. At other times, they directly rebut certain factual claims and contradict pervasive narratives. Google, which is YouTube’s parent company, knows how significant its platform has been during the war. “The Syrian civil war is in many ways the first YouTube conflict in the same way that Vietnam was the first television conflict,” Justin Kosslyn, the product manager for Jigsaw, formerly called Google Ideas, said during an interview on the sidelines of September’s Oslo Freedom Forum in New York, where Kosslyn had just spoken. 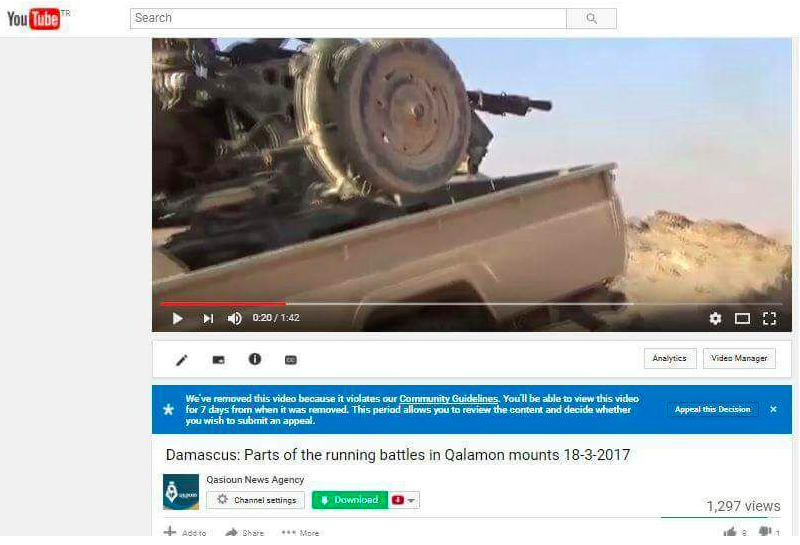 “You have more hours of footage of the Syrian civil war on YouTube then there actually are hours of the war in real life.” In 2016, Jigsaw developed Montage, a Google Docs-like application that allows for collaborative analysis of online videos. Kosslyn said the project was undertaken with human rights-related investigations in mind. The value of YouTube’s Syria videos is indisputable, especially since the regime and other armed actors have closed off much of the country to journalists and human rights observers. 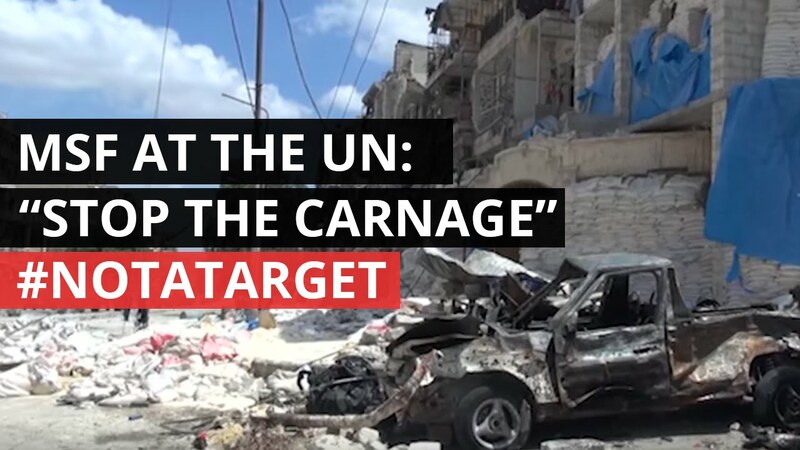 [Eliot] Higgins and his colleagues [at Bellingcat] proved beyond all doubt that Assad’s forces gassed a suburb of Damascus in August 2013, and a U.N. organization is now in the early stages of assessing YouTube’s Syria footage for its future use in war crimes trials. In December 2016, the U.N. General Assembly voted to establish the International Impartial and Independent Mechanism (IIIM) to assist in war crimes prosecutions related to Syria. In connection with the IIIM, Hiatt and his team at Benetech are developing software that can search and organize the estimated 4 million videos related to the conflict. The IIIM will facilitate the use of the videos in court if alleged human rights abusers ever face trial. Last summer YouTube started deleting videos that violated its Terms of Service; the platform used algorithms to flag the offending materials and within days some 900 Syria-related channels were removed. After the concerted protests many of the videos were restored, but the cull continued and by the end of the year more than 200 channels providing over 400,000 videos had been removed. Again, some of those were subsequently restored, but the Syrian Archive estimates that more than 200,000 videos are still offline. Videos from the conflict could prove critical in cases where they might violate the site’s ToS—even ISIS propaganda videos help identify members of the organization and explain its internal hierarchies. “The difficulty in this type of work is that the information put out there on social media by the perpetrators of the violence can also be used to hold those perpetrators accountable,” Shabnam Mojtahedi [a legal analyst with the Syria Justice and Accountability Center: see also here for its statement on this issue] notes. a pattern that’s causing a quiet panic among human rights groups and war crimes investigators. Social media companies can, and do, remove content with little regard for its evidentiary value. First-hand accounts of extrajudicial killings, ethnic cleansing, and the targeting of civilians by armies can disappear with little warning, sometimes before investigators notice. When groups do realize potential evidence has been erased, recovering it can be a kafkaesque ordeal. Facing a variety of pressures — to safeguard user privacy, neuter extremist propaganda, curb harassment and, most recently, combat the spread of so-called fake news — social media companies have over and over again chosen to ignore, and, at times, disrupt the work of human rights groups scrambling to build cases against war criminals. As Christoph Koettl, a senior analyst with Amnesty International and a founder of Citizen Evidence Lab put it, these social media platforms are ‘essentially privately-owned evidence lockers’. And that should worry all of us. 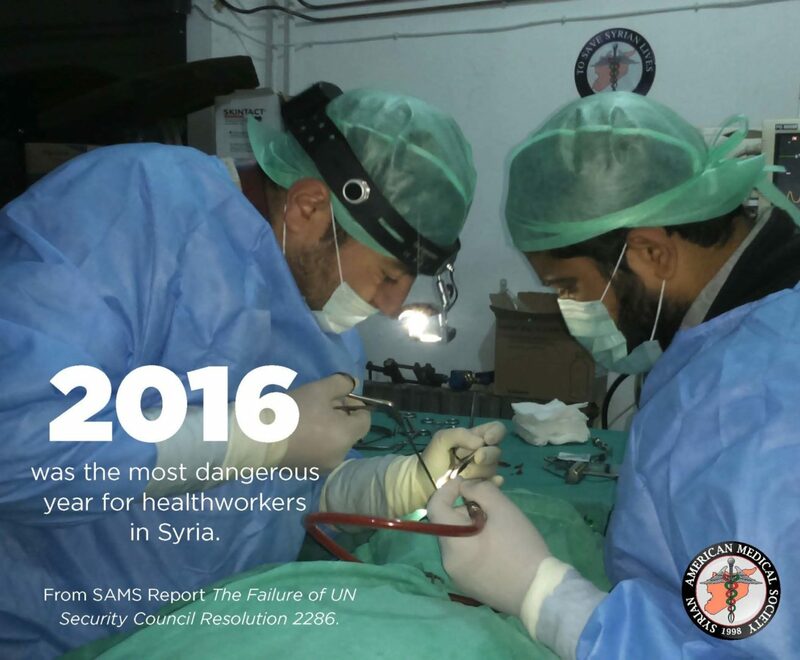 The Syrian-American Medical Society (SAMS) has published a grim report documenting the pattern of attacks on healthcare in Syria following the passage of UN Security Council Resolution 2286 on 3 May 2016 condemning attacks on medical facilities and personnel in conflict zones. The Resolution was a general one; several states drew attention to Israel’s assault on medical facilities in Gaza, and to the US airstrike on the MSF Trauma Centre in Kunduz (Afghanistan) (see here and here). When so-called surgical strikes are hitting surgical wards, something is deeply wrong… Even wars have rules… The Council and all Member States must do more than condemn such attacks. They must use every ounce of influence to press parties to respect their obligations. In 2015, the rate of targeting of medical facilities and personnel was one attack every four days. In October 2015, following Russia’s intervention in support of the Syrian government, this rate doubled to one attack every 48 hours. In November 2016 the rate virtually doubled again to one attack every 29 hours. SAMS estimates that there were 252 attacks on medical facilities and personnel in 2016; 199 of them took place after the passage of UNSC Resolution 2286. Between June and December SAMS identified 172 attacks (all detailed in an appendix to the report): 168 of them were carried out by the Syrian government and its allies; one by non-state opposition forces; one by Islamic State; and two by unidentified parties. Aleppo and Idlib were the principal targets: eastern Aleppo alone received a numbing 42 per cent of all attacks. SAMS maintains rigid documentation standards in collaboration with partners in the WHO Health Cluster in Turkey and the Johns Hopkins University Bloomberg School of Public Health’s Center for Health and Human Rights. 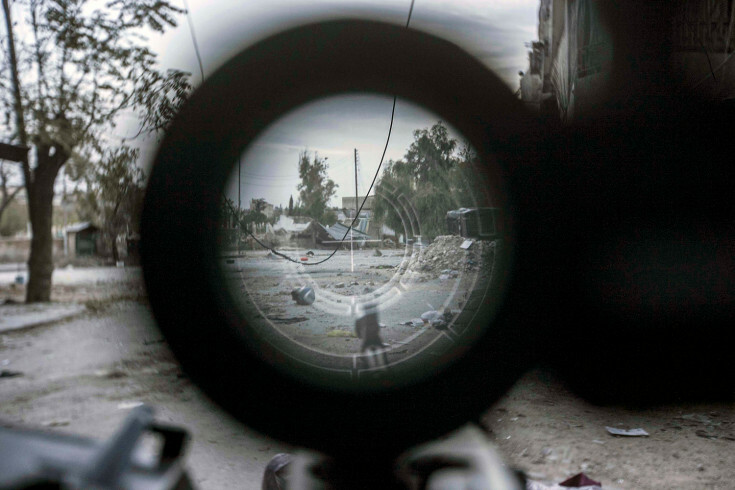 Our reporters on the ground rely on rst- hand testimony and photo documentation from medical sta and record the date, time, location, damages, casualties, impact on service delivery, weapon(s) used, and perpetrator of each incident. Any other source of information is not considered. The failure of the international community to hold the perpetrators of these attacks accountable sends a dangerous message: that there are no lines, no limits, and no boundaries to the atrocities that are being committed against the Syrian people. 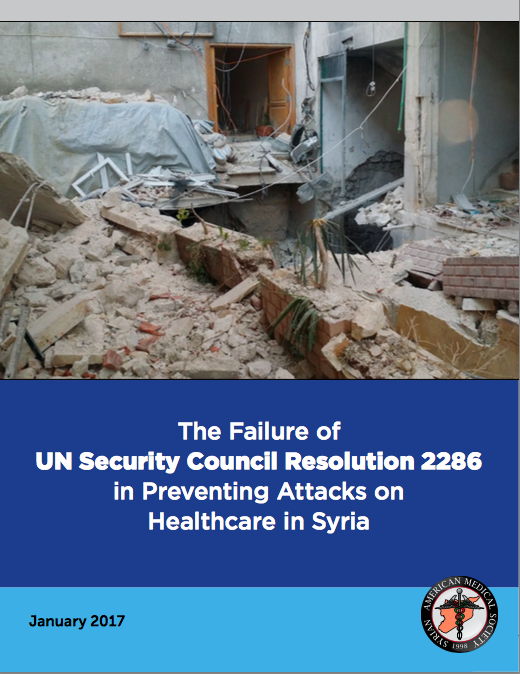 You can find more details about the targeting of doctors and hospitals in my post on the weaponisation of healthcare in Syria here; there is also a response to the passage of UNSC Resolution 2286 and its implementation by the Safeguarding Health in Conflict coalition (in September 2016) here. Syria’s civilians were under constant threat from Coalition air strikes throughout 2016, with 38% more casualty events reported in Syria than Iraq over the year. 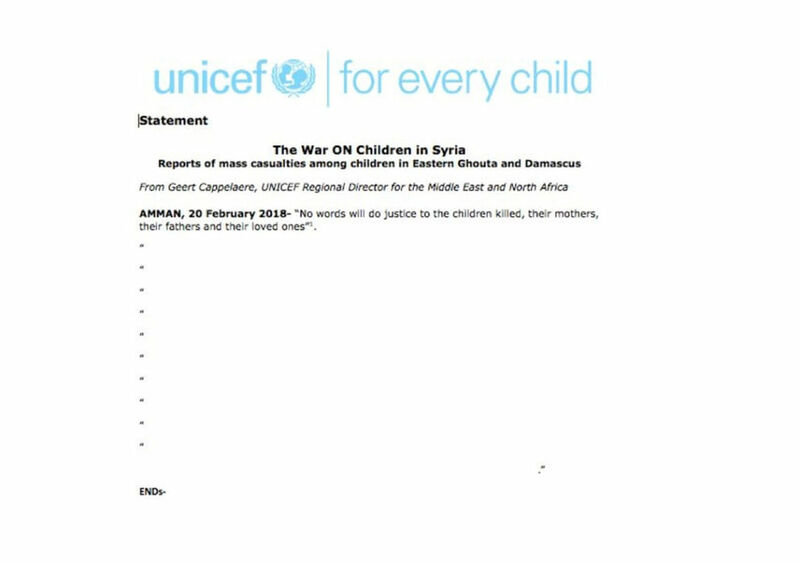 This may however reflect improved local reporting by Syrian monitors. Overall, minimum likely civilian deaths in Syrian incidents graded by Airwars as Fair or Confirmed doubled in 2016. Across 136 incidents, between 654 and 1,058 civilians were claimed killed in total. 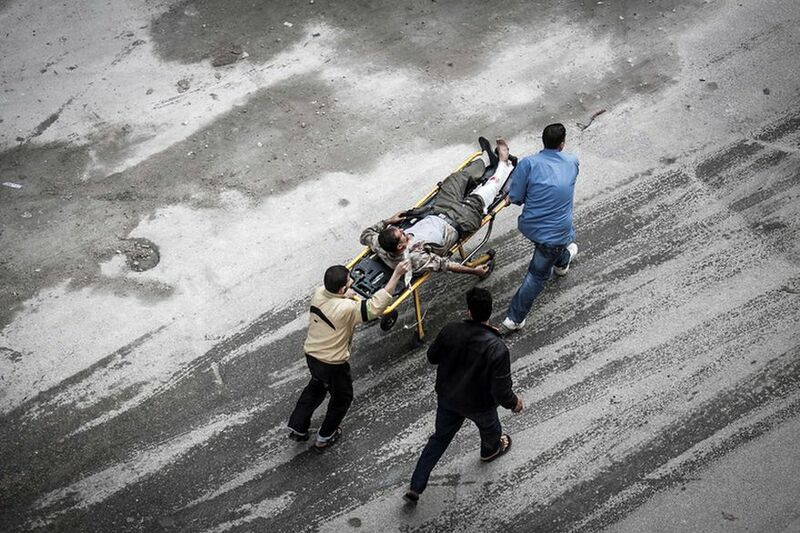 Airwars estimates that a minimum of 818 civilians were likely injured in Fair and Confirmed events in Syria alone. There were major spikes in February, in June and July (the Manbij campaign) and November the Raqqa campaign), all of them focused on areas held by Islamic State. 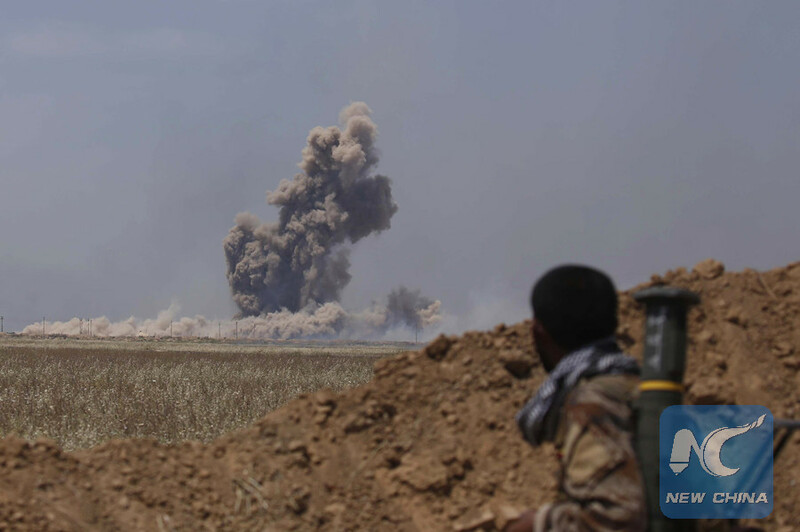 Airstrikes carried out by Moscow pummeled rebel-held areas of Syria throughout 2016, with many hundreds of civilians credibly reported killed. Overall, there were 1,452 separate claimed civilian casualty events allegedly carried out by Russia during 2016. Between 6,228 and 8,172 civilians reportedly died in these events. Many of these incidents are likely to have been the result of actions by the Assad regime. Even so, civilian deaths from Russian strikes in 2016 far outpaced those from Coalition actions. But at least three caveats are necessary. First, these are provisional calculations: ‘With so many allegations to assess, Airwars has a significant case backlog’, and the team has so far only completed a detailed analysis of the first four months of 2016. Second, the report provides no separate listing of air strikes carried out by the Syrian Arab Air Force. The Airwars team concedes a ‘very high level of confusion – especially between Russia and the regime’. Here is Kinda Haddad: ‘For many incidents we have some sources blaming the regime and others Russia – and we can’t really tell who is responsible as they use similar planes and weaponry.’ One major exception to that must be the use of barrel bombs dropped by the SAAF’s helicopters. Third, these tabulations identify immediate casualties from the strikes: one of the reasons for attacking doctors and hospitals, as I explained previously, is to multiply subsequent and distant casualties – to deny those wounded (or simply sick) life-saving medical treatment. So these casualty lists are minima – and not only as a result of the general problems of casualty accounting in conflict zones. The video of my two Tanner Lectures, ‘Reach from the sky: aerial violence and the everywhere war‘, delivered in Cambridge last month, is now available on the Clare Hall website. The first, ‘Good bomb, bad bomb’ is here, and the second, ‘Killing Space’, is here, while the responses from Grégoire Chamayou, Jochen von Bernstorff and Chris Woods are here. I’m immensely grateful to the video team, who were exceptionally helpful and remarkably accomplished. I’m now hard at work on the long-form version… And yes, I have – just! – notice the mistake on the poster. It was indeed ‘Reach from the sky.’ Per ardua…. There’s also a short and kind reflection on the lectures from Alex Jeffrey over at Placing Law here. 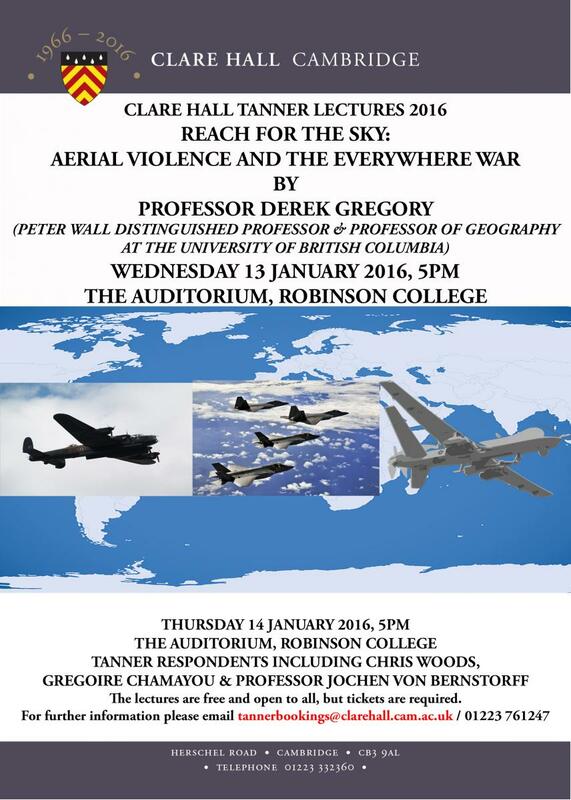 I’m delighted that Grégoire Chamayou and Chris Woods have both accepted invitations to act as discussants and interlocutors for my Tanner Lectures, “Reach from the Sky: aerial violence and the everywhere war“, in Cambridge in January. The format for the Lectures is for me to give two presentations on the first day; the next day a panel of four respondents offers reactions and comments, and then we open up into general debate and discussion. 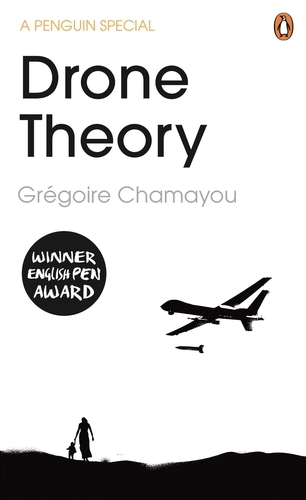 I provided a series of detailed commentaries on Grégoire’s variously titled Drone Theory/A Theory of the Drone when it was originally published in French (see here for a full listing: scroll down), and we met last year at a wonderful workshop on Secrecy and Transparency at the Humanities Research Institute at Irvine, so I’m thrilled that the tables will be reversed. Grégoire’s creative imagination seems to know no bounds – see, for example, here and here – and we keep in close touch so I know this will be a rewarding conversation. I’ve never met Chris, but I’m really looking forward to doing so: he has worked with the Bureau of Investigative Journalism; his Sudden Justice: America’s secret drone wars is the gold standard for books about the conduct of US remote operations; and he is now busy at Airwars monitoring coalition air strikes over Iraq and Syria. I greatly admire Chris’s combination of probing analysis and lucid prose, and his determination to bring the results to the widest possible public audience is an inspiration. More on other respondents later. 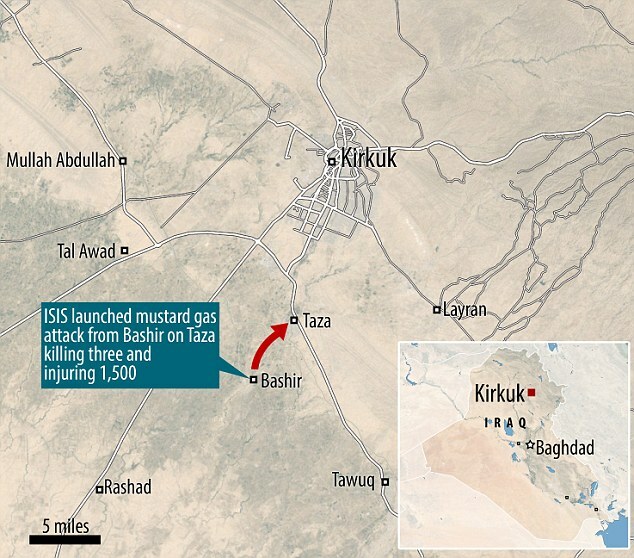 I’ve taken the maps above from the BBC, which rely on reports from the Institute for the Study of War and news releases from US Central Command on ‘Operation Inherent Resolve‘. For readers wanting to follow and analyse the US-led air campaign in Iraq and Syria in more detail, I recommend Chris Woods‘ new project, Airwars. 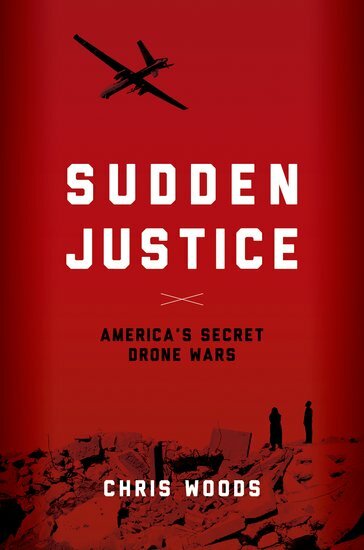 Chris is a veteran of the Bureau of Investigative Journalism’s Drone War Project and the author of Sudden Justice: America’s secret drone wars (2015) – which really is the gold standard for analysis of US remote operations. 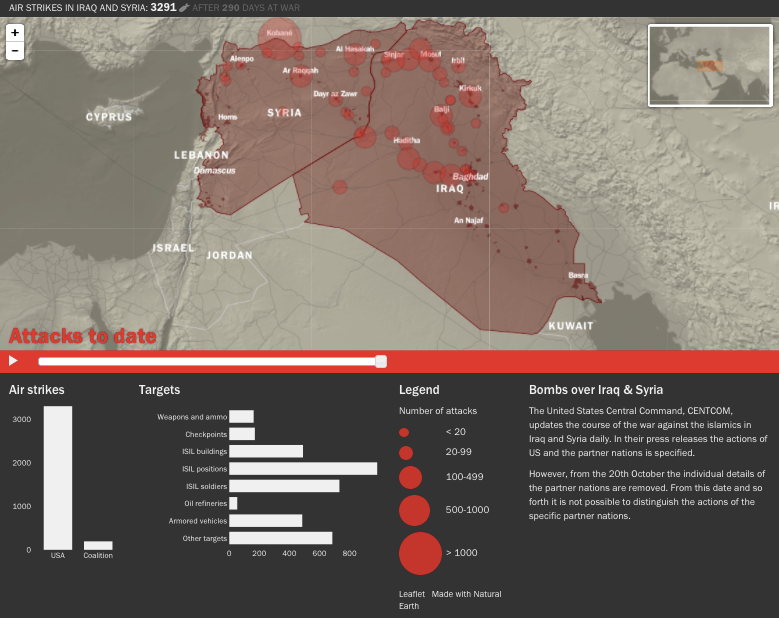 Airwars.org is a collaborative, not-for-profit transparency project aimed both at tracking and archiving the international air war against Islamic State (Daesh), in both Iraq and Syria. 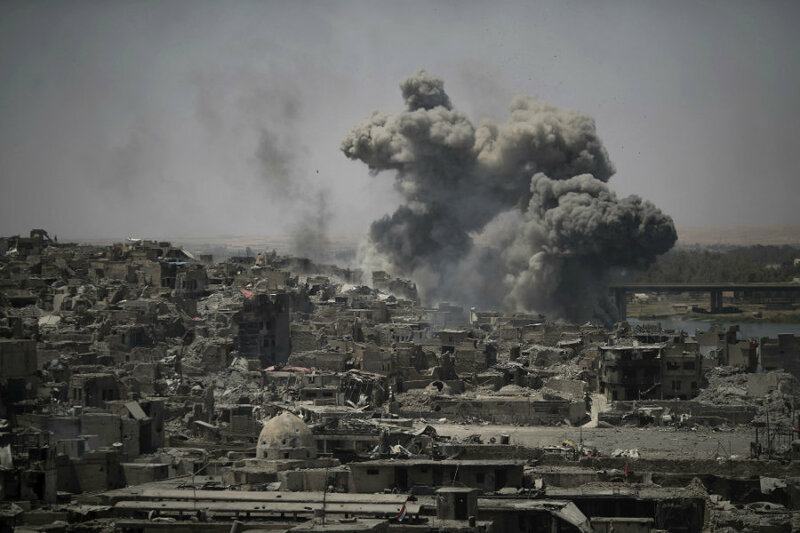 We also seek to highlight – and follow up where possible – those cases in which claims of civilian non-combatant casualties from coalition airstrikes have been indicated by credible monitoring agencies. In addition we track reported ‘friendly fire’ incidents. The site includes tabulations and also an interactive, zoomable map (see the screenshot below). You can find a detailed discussion of sources and methodology here. I’m tracking all this for The everywhere war… In case you are wondering why that is taking so long to finish: The colonial present started out as an essay on 9/11 and the US invasion of Afghanistan; I then realised that Sharon was taking advantage of the ‘war on terror’ to ramp up Israeli dispossession and repression of the Palestinian people, and so started work on a second essay (I’m ashamed to say that at the time I knew as little about the West Bank and Gaza as I did about Afghanistan on 11 September 2001). Then the US invaded Iraq… Much the same is happening with The everywhere war, but I do have the end in my sights. I hope.